14056.pdf - Pages: 88 - 14056 Navy Customer Service Manual - Presents the importance of proper attitude and its effect on everyday performance and stresses the need for developing positive attitudes in interpersonal relationships. 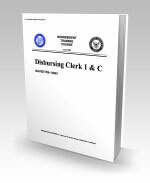 14061.pdf - Pages: 224 - 14061 Disbursing Clerk 1 & C - Consists of information on the knowledge, skills, and responsibilities required in the Disbursing Clerk rating. The following subject matter is listed in detail: Financial Accountability, Appropriation Accounting; Travel Allowances, U.S. Treasury Checks; Foreign Currency; Public Vouchers; Financial Returns, Pay Entitlements; and Separations, Discharges, and Retirements. 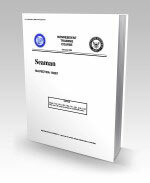 14067.pdf - Pages: 226 - 14067 Seaman - Contains information on the following subject matter: watches, watchstanding duties, marlinespike seamanship, deck seamanship, use and care of deck equipment, boat seamanship, ammunition and gunnery. 14082.pdf - Pages: 18 - 14082 Equal Opportunity in the Navy - The following subjects are covered: Equal Opportunity (EO) responsibilities of commanders; command managed equal opportunity (CMEO); prevention of sexual harassment; Navy complaint procedures (informal and formal); incident handling and reporting; responsibilities of key officials, advisors, and service members; definitions and terms used in EO; policy; roles and responsibilities of advisors; guidelines for advocates; resources available; and NAVPERS 5354/2. 14083.pdf - Pages: 102 - 14083 Educational Services Officer - This course provides information and procedures to assist personnel assigned as the command Educational Services Officer. In addition to the basic "how to" information, several web sites and references are provided for step-by-step instruction. 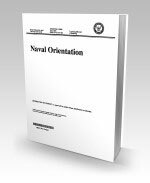 Course subjects include: fundamentals; the Navy College Program; educational programs and benefits; professional development education programs; the Navy Enlisted Advancement System (NEAS); and examination procedures. 14134.pdf - Pages: 474 - 14134 Legalman 3 & 2 - Covers general administration and security; the law library; court reporting; constitutional considerations; nonjudicial punishment; pretrial matters; court-martial trials; posttrial duties and the review process; administrative separations; delivery of personnel; and legal assistance. 14135.pdf - Pages: 436 - 14135 Legalman 1 & C - Covers drafting correspondence; instructions and notices; legal research; pretrial confinement procedures; chain of custody procedures; review of charge sheets; interviewing witnesses; administrative discharge warnings; service of process and subpoenas; claims; administrative investigations; office organization and management; and letters of indebtedness. 14163.pdf - Pages: 356 - 14163 Mess Management Specialist 1 & C - Covers investigating causes of food spoilage and damage; inspection and date stamping of food items upon receipt; preparation of dummy receipts; preparation of documents for expenditure of food items; preparation of the Food-Preparation Worksheet; menu planning; foodservice administration; and foodservice management. 14164.pdf - Pages: 392 - 14164 Mess Management Specialist 3 & 2 - Covers sanitation; receipt, inspection, expenditure, and storage of food items; accounting; foodservice equipment; food preparation; meat, poultry, and seafood; nutrition and menu planning; breads and desserts; foodservice; quarters afloat and ashore; and field kitchens. 14167.pdf - Pages: 230 - 14167 Naval Safety Supervisor - Provides information about the history and role of the Department of the Navy Safety Program; safety program promotion and attitudes; mishap causes, prevention, and hazard abatement; mishap investigation fundamentals; Navy Occupational Safety and Health Program fundamentals; shore safety; afloat safety; naval aviation safety; explosives safety; traffic safety; and recreation, athletics, and home safety. 14171.pdf - Pages: 24 - 14171 Navy Councelor 1 & C (Councelor) - Provides the student with information on: counseling techniques, enlisted and officer counseling, career reenlistment objectives (CREO), incentive programs, education programs, Naval Reserve programs, TRICARE Health System, survivor benefits, veterans benefits, family counseling, and Fleet Reserve and retirement. 14172.pdf - Pages: 312 - 14172 Navy Councelor 1 & C (Recruiter) - Provides the student with information on: the Career Recruiting Force; training, recruiting personnel management; Navy recruiting station operations and administration; marketing; recruiting; public affairs; recruiting management and analysis systems; and visits, inspections, and meetings. 14198.pdf - Pages: 80 - 14198 Official Mail Management - This course benefits personnel responsible for the Official Mail Management Program. A brief description of various costsaving methods and postal services are discussed to better prepare a person to effectively handle and process official mail. 14214.pdf - Pages: 502 - 14214 Personnelman 3 & 2 - Acquaints the trainee with the various aspects of the Personnelman rating, such as office arrangement, Personnel Support Activities and Detachments, Enlisted Ratings, Enlisted and Officer Service Records, the Enlisted Distribution Report, Officer Distribution Control Report, Diary Message Reporting System, Counseling Service Members, Advancement, Education, Training, Commissioning Programs, Transfers, Receipts, Overseas Assignments, Naval Reserve Program, Reenlistment Incentive programs, Separations, Leave Procedures, and Electronic Data Processing. 14219.pdf - Pages: 104 - 14219 Public Affairs Policy and Regulations - Covers the following subject matter: public affairs objectives, principles, organization and authority; public affairs functional and policy review; public affairs resource management; the Privacy and Freedom of Information Acts; and contingencies. 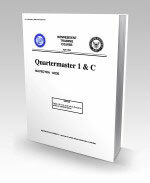 14220.pdf - Pages: 464 - 14220 Quartermaster 1 & C - Contains information on the following subject matter: magnetic compass error and preparing deviation tables, voyage planning, assisting the navigator, ship operation, and weather. 14221.pdf - Pages: 520 - 14221 Quartermaster 3 & 2 - Contains information on the following subject matter: phases of watchstanding, log keeping, honors and ceremonies. You will have a basic knowledge of piloting, time, navigational aids, supply and maintenance, radiotelephone communications, maneuvering board, and electronic and celestial navigation. 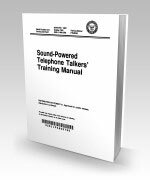 14232.pdf - Pages: 78 - 14232 Sound Powered Telephone Talkers Training Manual - Supplies the basic knowledge necessary for the sound-powered telephone talker in any situation or condition. The manual is designed for individual study and is designed to meet the E-2/3 naval standards, but also applies to all ratings and paygrades. 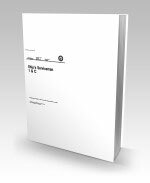 14237.pdf - Pages: 326 - 14237 Ship's Serviceman 1 & C - Provides descriptions of the duties and responsibilities of the senior Ship's Serviceman including the opportunities and challenges of the Ship's Serviceman rating and the leadership and management techniques the senior Ship's Serviceman will be expected to use. Includes information on the organization of ashore supply and fiscal activities; the supervision of procedures afloat for procurement of stock; receipt, stowage, and expenditure of stock; ship's store operations; and records and returns. 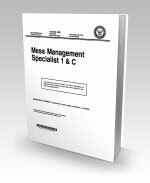 Also provides a brief description of Navy commissary store operations and the Retail Operation Management (ROM) system. 14238.pdf - Pages: 238 - 14238 Ship's Serviceman 2 - Describes the general procedures for using the Retail Operation Management system, preparing and maintaining the ship's store files, collecting cash in ship's store afloat, receiving and accounting for ship's store stock, issuing material, inventorying merchandise and reconciling results, and laundry scheduling and quality assurance. 14239.pdf - Pages: 266 - 14239 Ship's Serviceman 3 - Describes the organization and functions of the Navy supply system and supply department afloat, security of supply department spaces, operation of the sales outlets, stowage of ships store stock, barber shop service, and the operation of the ship's laundry and dry-cleaning plant. 14241.pdf - Pages: 294 - 14241 Storekeeper 1 & C - Provides training on these Storekeeper topics; administration; COSAL; funding and accounting; afloat reports; procurement; receipts and expenditures; storage afloat and ashore; inventory management; shipping; and automated supply procedures. 14260.pdf - Pages: 222 - 14260 Yeoman 1 & C - Covers material on the following subjects: the Navy Yeoman, education advancement, career opportunities, assignments, retention, administrative procedures, forms, reports, control records disposal, personnel support, manpower authorization, travel, security, legal, and separations. 14261.pdf - Pages: 212 - 14261 Yeoman 3 & 2 - Covers the following subjects: the Navy Yeoman, official publications and directives, correspondence/message system, processing correspondence/messages, correspondence/message files and disposal, directives issuance system, reports and forms management programs, security, legal, awards, officer distribution control report (ODCR), officer service records, travel, leave procedures, pay and allowances, and technical administration. 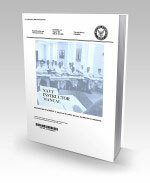 14300.pdf - Pages: 170 - 14300 Navy Instructional Theory - Provides knowledge factors and background information on the theory and techniques of Navy classroom instruction. 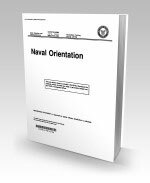 This course is a prerequisite for Naval Reservists in preparation for the two week group-paced instructor course. 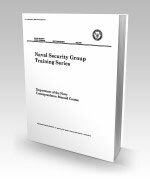 The nonresident training course covers Navy training, the Navy instructor, motivation, principles of learning, effective communications, instructional methods, learning objectives, testing, course materials, and instructor evaluation. 14317.pdf - Pages: 518 - 14317 Postal Clerk - This course is for the Postal Clerk who is interested in increasing his/her knowledge of the rating or for the Striker who desires to work within the postal community. Various types of mail such as domestic, international, registered, and certified are covered in detail as well as the operation of a military post office. 14319.pdf - Pages: 36 - 14319 Department of the Navy Correspondence Manual - Course Questions in this course cover information on the administrative and managerial responsibilities of the DON correspondence program. 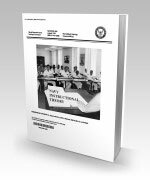 14320.pdf - Pages: 34 - 14320 Evaluation/Fitness Report - Questions in the course cover information on the procedures and requirements for preparing, recording, and submitting evaluation and fitness reports on naval personnel.